A $12.5-million gift from the family of Alan Hassenfeld, to be matched by new fundraising by the University, will create the Hassenfeld Child Health Innovation Institute. Faculty, students, staff and community partners will focus on discovering and applying strategies to improve the lives of children and their families in Rhode Island, nationally, and globally. PROVIDENCE, R.I. [Brown University] — A new institute being established at Brown University in collaboration with Hasbro Children’s Hospital and Women & Infants Hospital of Rhode Island aims to make a transformative impact on the health of children, including targeting autism, asthma, obesity, and other urgent problems affecting the health of children. With a gift of $12.5 million from the family of retired Hasbro Chairman and CEO Alan Hassenfeld, Brown will establish the Hassenfeld Child Health Innovation Institute to accelerate progress on the urgent health needs of the smallest state’s smallest residents. Brown will raise $12.5 million to match the Hassenfeld family’s founding gift, supporting an integrated approach to research, clinical practice, public health efforts, and educational programs. Brown’s School of Public Health and its Warren Alpert Medical School have brought together leaders from both of the state’s major hospital networks to forge important partnerships that will contribute to the institute’s success, Paxson said. “I must thank Alan and his family on behalf of the entire Brown community for the opportunity to develop a collaborative model that will make a real impact in the lives of families,” Paxson said. Hassenfeld, a former Brown trustee, said his family’s long commitment to children inspired him to work with the University to identify a set of initiatives that could make a lasting difference. “Many excellent doctors have researched areas of child health and brought us to a certain level, and the question is, Can we take those past learnings and create something even more impactful?” Hassenfeld said. He explained that the inspiration for which areas of child health to target at the new institute came from researchers and doctors at Brown, Women & Infants Hospital, and Hasbro Children’s Hospital, the pediatric division of Rhode Island Hospital for which Hasbro Inc. provided lead funding under the Hassenfeld family’s leadership more than two decades ago. Researchers from other institutions, such as Bradley and Butler hospitals, will also be partners. Raimondo said by bringing together public, private, and university partners, Rhode Island will be uniquely positioned to spur its innovation economy and become a leader in children’s health. Across many new programs, the institute will work to produce an understanding of the important influencers of child health, said Dr. Jack A. Elias, dean of medicine and biological sciences at Brown. Researchers and clinicians will then apply their findings to improve health. Improving child health will benefit children, their families, and their communities not only in Rhode Island, but also beyond, added Terrie Fox Wetle, dean of the Brown University School of Public Health. The institute will launch at the beginning of 2016 under the leadership of an executive committee composed of Dr. Phyllis Dennery, the Sylvia K. Hassenfeld Professor and Chair of Pediatrics at Brown and pediatrician-in-chief at Hasbro Children’s Hospital; Dr. Maureen Phipps, the Chace-Joukowsky Professor of Obstetrics and Gynecology at Brown, chair of the Department of Obstetrics and Gynecology, and executive chief of obstetrics and gynecology at Women & Infants Hospital; and Dr. Patrick Vivier, the Royce Family Associate Professor of Teaching Excellence, associate professor of health services, policy and practice and of pediatrics at Brown, and director of general pediatrics and community health at Hasbro Children’s Hospital. The team will build a core research and evaluation unit with all the statistical, bioinformatic, genomic, epidemiologic, and medical expertise needed to conduct rigorous and effective studies of myriad childhood health issues. In all cases, these efforts will succeed with the partnership of Rhode Island families. The inaugural focus of the institute’s work will be on the three initiatives — autism, asthma, and nutrition and fitness — in which teams of researchers will develop innovative new solutions over the next six years. In “Healthy Weight, Nutrition, and Physical Fitness,” the institute will engage in studies and interventions addressing factors, even before birth, that can place children at risk for excess weight, poor nutrition or low physical activity as they grow up. These range from the mother’s health and environmental exposures during pregnancy and after birth, to neighborhood conditions such as safety for outdoor play and the availability of healthy food. The work will build on the leadership of Miriam Hospital’s Weight Control and Diabetes Research Center in confronting these factors. For “Autism, a Precision Medicine Approach,” researchers will build on the work of the Rhode Island Consortium for Autism Research and Treatment, which has developed a registry of more than 700 families affected by autism spectrum disorders. The initiative will develop and test protocols for integrating genomic and other biomarker information into autism diagnoses to provide fine-tuned clinical care. In some areas of the state, such as Greater Providence, more than a quarter of children in some schools have asthma. The Childhood Asthma Research Innovation initiative will build on current work at Hasbro Children’s Hospital to dig deeper into the complexities of asthma’s causes and treatment, especially among different subgroups of children. Researchers will look at genes, stress, environmental factors, and treatment adherence. They’ll develop new programs and interventions, particularly to address disparities in outcomes among the state’s children. Hassenfeld Child Health Innovation Awards. Faculty members can apply for seed grant funding for innovative ideas in children’s health. Such grants fund preliminary work needed to earn major research grants. Hassenfeld Child Health Scholars. To engage and train undergraduates and graduate students, as well as early-career physicians, the institute will provide summer research and classroom programs and clinical and research fellowships on topics in child health. Workshops, symposia and lectures. In venues at Brown and beyond, the institute will host events on subjects such as healthy weight, child development, injury prevention, maternal health, precision medicine and other topics related to its work. Hassenfeld’s family has a long history of supporting children’s health. In addition to the Hasbro company’s leadership in the opening of Hasbro Children’s Hospital in 1994, the family established the Stephen D. Hassenfeld Children’s Center for Cancer and Blood Disorders at New York University’s Langone Medical Center in 2011, has funded the new Hassenfeld Pediatric Center to be completed at NYU in 2017, and at Brown established the Alan G. Hassenfeld Professorship of Pediatrics and the Sylvia Kay Hassenfeld Professorship of Pediatrics. Hassenfeld emphasized that the gift to establish the new child institute reflects the commitment of his entire family, including his wife, Vivien, and sister Ellen Hassenfeld Block. It also continues a long history of engagement with Brown, from which several Hassenfelds have graduated, including his cousins John Hassenfeld, Benjamin Robbins and Richard Engle, two of his uncles, and also Alexander Casdin, the spouse of Hassenfeld’s niece, Susan Block Casdin. 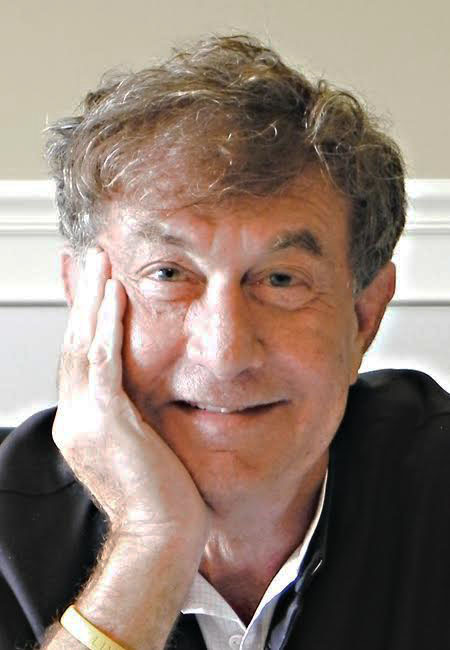 Alan Hassenfeld himself has served in numerous leadership roles at Brown, including as a member of the Advisory Council on India, the Advisory Council on Biology and Medicine, and the Medical School Board of Overseers.